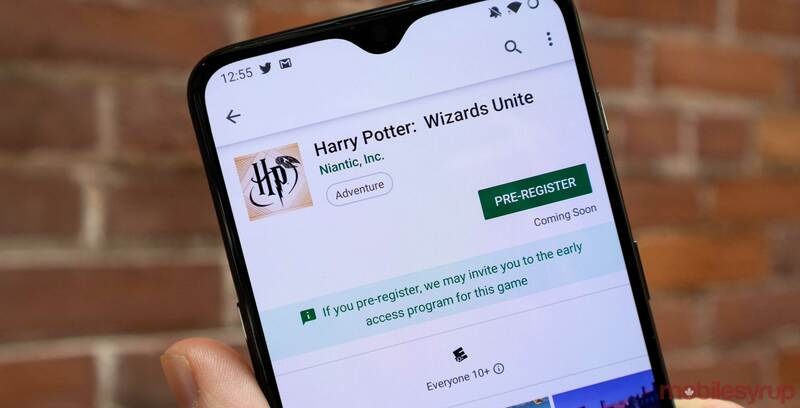 Developer Niantic is allowing smartphone users to reserve their names from Ingress or Pokémon Go for use in the upcoming Harry Potter: Wizards Unite mobile game. Until April 30th, fans can visit this site and log in with their Ingress or Pokémon Go credentials to guarantee they can use their Agent Name or Trainer Nickname in Wizards Unite. Niantic says players with the same username in both Pokémon Go and Ingress need only reserve their Code Name once. Players on both Android and iOS can take advantage of the name reservation tool. It remains unclear exactly when players will be able to use these names in Wizards Unite, however, as the game does not have an exact release date beyond a vague “summer” launch window. When the game does eventually come out, it will offer players a Pokémon Go-inspired augmented reality-powered mobile gaming experience. Similar to the monster catching game, players will have to walk around the real world to come across new content in the game. In Wizards Unite, players will come across magical items, fantastic beasts and deadly wizards that they’ll have to either send back to the Wizarding World or defeat in a duel. The game will also support co-operative and competitive multiplayer modes. Pre-registration for the game is now open on the Google Play Store.